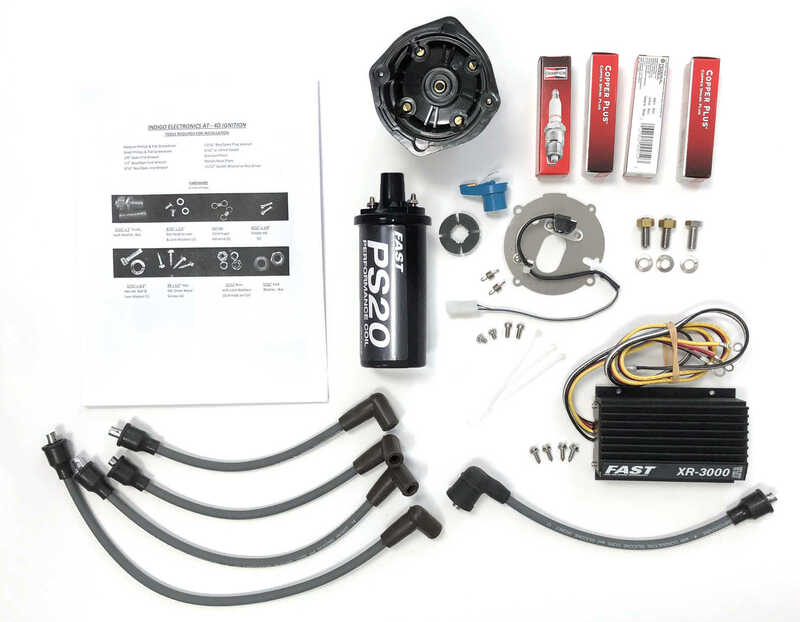 THE INDIGO "SMART" ELECTRONIC IGNITION MODULE KIT WORKS SO WELL THAT WE ARE HOLDING THE PRICE AT $250 (DELCO) SO MORE OF YOU CAN ENJOY THE BENEFITS! What is Dwell angle and why should I care? Tired of burned or corroded points, bad condensers, poor starting, idle speed too high--in general, an unreliable ignition system? The Delco and Prestolite distributors supplied with Atomic 4 engines have been the source of countless ignition problems due to the use a conventional breaker point system in a harsh marine environment. Until now, the only means of obtaining reliable operation was constant maintenance and plenty of spare parts. Dwell Angle Management and Current Limiting . The foundation of this new kit is the Crane/FAST XR3000 Module which was originally designed as a high performance version of the XR700 for high horsepower, high compression, high RPM automotive engines. It turns out that those same high performance features play a key role in solving several ongoing issues that we continue to have with the Atomic 4. Coil failures due to too much current and overheating can be eliminated with smaller Dwell angles and by limiting coil current. At low engine speeds, a minimum Dwell angle is all that is needed to generate a great spark. At higher RPM, it is desirable to have a larger Dwell angle to allow the coil to become fully "saturated" for a great spark. And in all scenarios, coil current is limited to 4.5 amps. Both of these actions do an amazing job of significantly reducing coil operating temperature and thus extending coil life while producing an excellent spark. We have recently been testing a new electric pump for FWC and have been running an XR3000 ignition system with it to evaluate the pump under real world conditions. After a 14 hour day of testing at 1440 RPM, the 1.4 Ohm coil is at less than 115F! An additional benefit of the current limiting function is that the feature automatically stops coil current flow if the engine is not running. 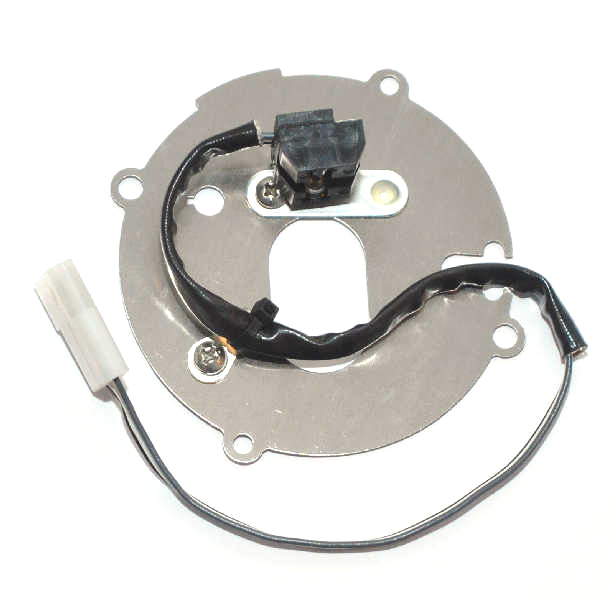 NO MORE BURNED UP COILS AND/OR MODULES IF YOU FORGET TO TURN OFF THE IGNITION SWITCH! This new Module has another exciting feature in that it can function with many different coils with NO BALLAST RESISTOR needed! For a superb spark, the kit comes with a very low 1.4 Ohm primary resistance Coil. This may sound outrageously low but with the Current Limiting and variable Dwell Angle features, it is pure genius. With the low primary resistance, there can be a controlled high in-rush of current which saturates the coil very quickly allowing for a great spark at all speeds. If for some reason you find that you have to install a different coil, most any coil will work as long as the primary resistance is less than about 3.5 Ohms. The higher resistance will not harm any components but the spark quality will deteriorate somewhat with increasing resistance. Realistically, the spark with a 2.5 Ohm coil will probably be better than what you have now. Introducing the AT-4D and AT-4P Hi-Intensity Electronic Retrofit Kits from Indigo Electronics. These kits have been expressly engineered to upgrade Delco and Prestolite distributors on Atomic 4 engines. Shown below is the complete kit and new breaker plate assembly for the Delco distributor. Upgrade from your Existing XR700 System - For the added reliability and peace of mind that the XR3000 Module can bring to your existing system, give us a call (800-428-8569) for special pricing for existing customers. To make the Upgrade, it is simply a matter of plugging in the new XR3000 Module and maybe replacing your existing coil (and eliminating any Ballast Resistor(s)). Upgrade from your Existing IGNITOR (by Pertronix) System - For the added reliability and peace of mind that the XR3000 Module can bring to your existing system, give us a call (800-428-8569) for special pricing for a retrofit kit to replace your Pertronix unit. Your existing coil, cap, rotor, sparkplug wires and sparkplugs are all compatible with the XR3000 conversion. If you currently have a Ballast Resistor, it will no longer be needed. How to distinguish a Delco distributor from a Prestolite? The Delco was applied after about 1969 and is easy to recognize as the distributor cap is held on with two (2) screws. The cap on the earlier Prestolite distributor is held on with two spring clips. Don't delay. You never knew sailing could be so much fun!